through the organization of international congresses and the work of its scientific committees. 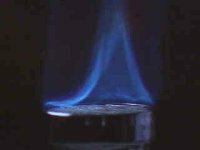 the close relationship between thermal analysis and calorimetry. 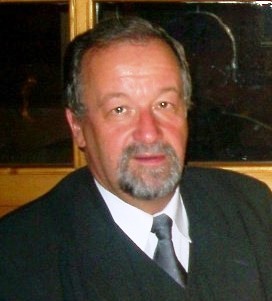 Prof Andrzej Malecki was a most active, open-minded and cheerful colleague. Reactivity of Solids and was the guest-editor of a special issue of the JTAC. drawn the best from his experience and human abilities. He was only 71 when he passed away on January 20, 2019. Many of us will miss him and we all share the sorrow of our Polish colleagues. The North American Thermal Analysis Society offers scientists and practioneers the opportunity to explore the frontiers of thermal analysis, rheology, and materials characterization by participating in the 2019 NATAS Conference at the beautiful Gurney's Resort in Newport, Rhode Island. Presentations and posters by renowned scientists and graduate students set the stage for excellent discussions and an ideal environment to learn about state-of-the-art techniques and exciting new developments in materials research. A Technical Exhibit will feature multiple vendors presenting their latest instrumentation for thermal analytical and rheological measurements. The cordial setting provides conference attendees the opportunity to review a variety of instruments and services offered by many vendors in a single location. was always a very active member of the thermal analysis community. from a very small facility in just a few shared rooms into an important materials center in Spain. University (Hungary), Institute of Inorganic Chemistry (Czech Republic), University of Chile (Chile). Moreover, he was always willing to accept international students and visitors to his lab that, at the end become part of his family. Thus, a significant number of international students, postdocs and professors from Czech Republic, Japan, Chile, Russia, Rumania, Poland, France, Tunisia, etc. spent time working with him. Therefore, there was always an international atmosphere in the lab. Prof. Criado was an enthusiastic scientist. Research was for him much more than a job, it was a passion and he was a tireless worker that spent most of his life at the lab or reading papers and scientific books at home. He had an amazing memory and could remember results from experiments that were done decades ago. Thus, he had a deep knowledge of solid-state chemistry, thermal analysis and kinetics, which he was willing to share. He was willing to discuss for hours with his coworkers. Overall, he was a very generous man that spent a great deal of energy teaching and mentoring young scientist. Therefore, it is not rare than a great deal of his former students, postdocs and coworkers have nowadays positions as researchers and professors not only in Spain but worldwide. 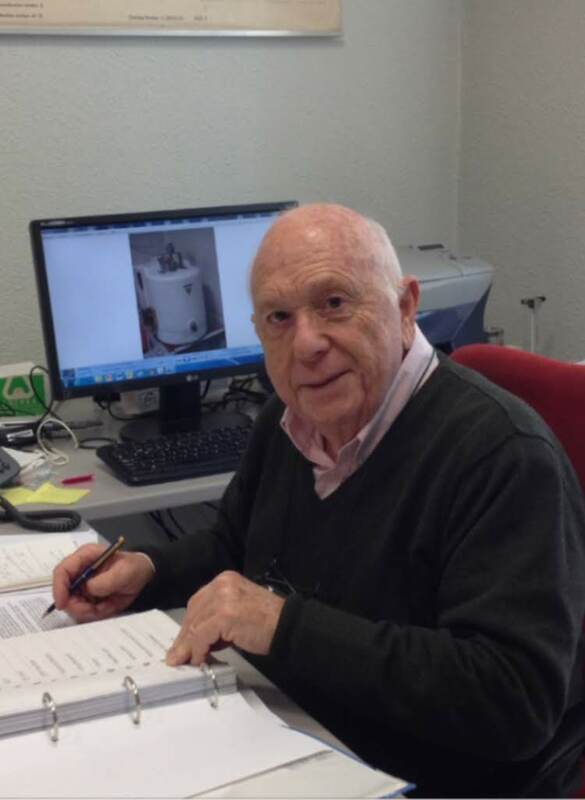 Prof. Criado made important contributions to the fields of kinetics of solid state processes and reactivity of solids. He publishes more than 240 papers in international journals, some of them have made a deep impact in the scientific community with a significant number of citations. In the field of kinetic of heterogeneous reactions, he pointed out the limitations of linear heating experiments for discriminating from a single curve the kinetic model. He also extended the use of sample controlled thermal analysis, which he learned directly from Prof. Rouquerol and Prof. Paulik, to the study of kinetics. He proposed several kinetic analysis procedures such as the use of master curves, combined analysis, deconvolution and so on that are now extended among the scientific community. Prof. Criado was also very fond of designing and constructed instruments for performing experiments under non-conventional conditions. Thus, he constructed a huge number of sample controlled instruments using different methods for monitoring the sample and different heating procedures. He, also, modified and constructed, in collaboration with some engineering companies, high energy mills that allow working under controlled gas pressure for mechanosynthesis of compounds by gas-solid reactions.